At the Golden Vine guests can enjoy the company of any of our beautiful and friendly hostesses, who are always happy to sit and chat, perhaps enjoy a game of pool and fulfil your every desire. 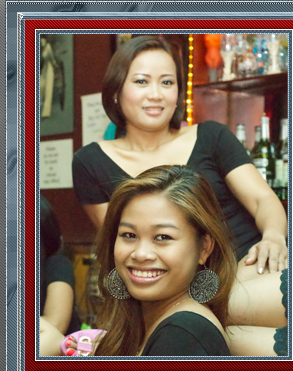 Any visit to the Golden Vine is all about having fun - uniquely in Phnom Penh, we feature regular bar-top dancing, and you're sure to be entertained when our ladies get up and do their thing! At the Golden Vine we operate a strict no hassle policy, so our ladies are never overbearing, and at no time are our guests under any obligation to buy drinks or food for the girls - although any purchases are always very gratefully accepted! As you can see from these pages, the Golden Vine offers a very wide choice of stunning attractions, so be sure to drop in.